Sedgwick County needs to make sure past issues are known and settled before proceeding with hiring a new county manager, writes former commissioner Richard Ranzau. A majority of commissioners wanted to fire former manager Michael Scholes, with chair David Dennis presenting Scholes with an ultimatum on September 28, 2018. Later, in November, the same commissioners hired an outside law firm to investigate Scholes so that a politically correct reason could be given for his dismissal. We need to know more about the real reason why commissioners wanted to fire Scholes. What is contained within the report (identified in county documents as “Management study – Stinson, Leonard & Street”) used as the cover for firing Scholes? The county will not supply the document, citing attorney-client privilege and personnel confidentiality. This allows commissioners to make all sorts of claims that we can’t verify. For example: The many high-level employees that purportedly quit because of Scholes — can’t we get even one name? Some conclusions from the Stinson report has been leaked, and the bad conduct by Scholes was really quite minor. The Wichita Eagle has reported: “Commission Chairman David Dennis said Wednesday [November 26, 2018] that he’s ready to move forward with a probe examining commissioners’ actions and whether they’ve contributed to low morale and an exodus of top county employees.” As Ranzau writes below, the commission is being asked to cancel this investigation. 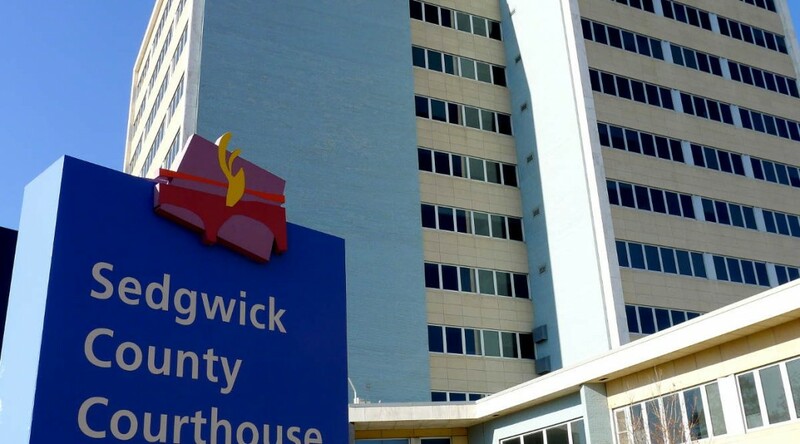 Members of the Sedgwick County Commission have two very important decisions to make, and they need to get them both right. First, they need to decide if they are going to conduct the badly needed ethics investigation into commissioner misconduct that occurred in 2017 and 2018. Previously, the Commission voted to conduct this investigation but they have yet to follow through. Failed leadership and improper behavior by the some of the commissioners during those years has led to multiple FBI investigations and a soon to be completed KOMA investigation by the District Attorney’s office. The reputation of the Commission has been shattered. Public faith and confidence in this once highly respected organization can only be restored if the Commission hires an outside entity to investigate unethical and inappropriate commissioner behavior and to make recommendations for policy changes that could deter future misconduct. This must be an honest and sincere effort by the Commissioners to find out the truth, no matter how painful it may be. All staff members and employees should be allowed to fully participate in the investigation without fear of repercussion. Senior staff members with extensive knowledge of what happened, including the interim county manager, should be supportive of this investigation and provide honest and candid information about what they know. Citizens may wonder why we need another investigation, given that an expensive effort was recently completed and used to justify the dismissal of the previous county manager. But that investigation was a sham. A majority of commissioners had already decided to fire the manager. They needed an investigation to cover up their real reasons for firing him. This is the behavior that needs to be exposed. This investigation needs to be completed BEFORE the Commission makes its second important decision: hiring a new county manager. The current rush to appoint the interim county manager without a nationwide search is imprudent for multiple reasons. First, he has intimate knowledge of what happened over the last two years and the public needs to be assured that he will fully support and participate in the ethics investigation. Secondly, there is an ongoing effort by four commissioners to put forth a public vote to rescind the decision to proceed with an investigation. Commissioner Howell is being pressed to support this effort, not only by the Chairman, but also the interim county manager and county counselor. In fact, the interim county manager has asked Commissioner Howell to make the motion to end the investigation. The fact that the interim county manager would try to coordinate a vote to stop an ethics investigation that he would be a key witness in is as surprising as it is troubling. He knows what happened and he shared many of the same concerns as the previous county manager and county counselor. So why would he support and COORDINATE an effort to cancel this badly needed investigation? Is he under pressure by commissioners? The timing of this effort to stop the ethics investigation coupled with the rush to hire a potentially key witness as the new county manager, certainly raises the question as to whether or not there is a quid pro quo going on. I certainly hope this is not the case, but the optics are horrible. The commission does not need another scandal or coverup. The Sedgwick County Commission and interim county manager need to take a step back and reconsider what they are doing. Everyone involved needs to demonstrate the courage to do what is right for the community. It is imperative they demonstrate a commitment to open, transparent, and ethical government. The citizens need to have confidence that the shenanigans of the past, are in fact, in the past. We can’t afford to have the Commission get this wrong. Previous PostAnother Wichita survey, another set of problemsNext PostIs the Wichita mayor satisfied with this?